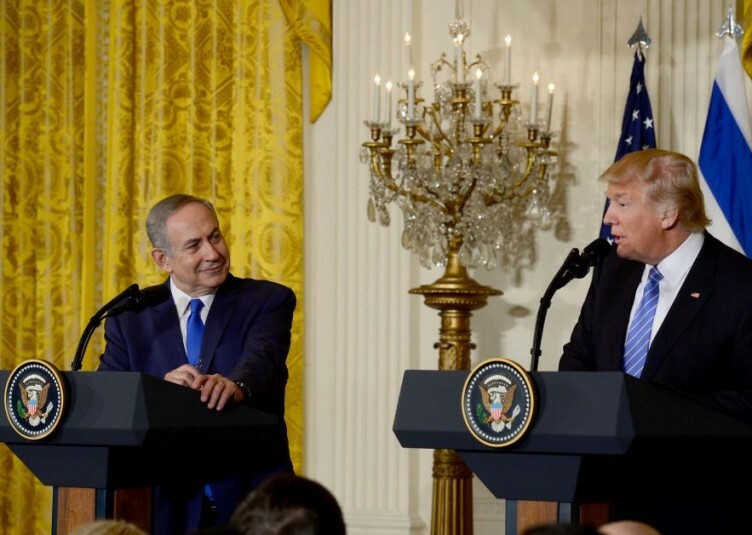 Are Trump and Israel on the same page? The first two weeks of U.S. President Donald Trump’s administration have been the most active of any in recent memory. The unprecedented executive orders, not to mention the initial exchanges with other heads of state, have generated headlines that under normal circumstances could have filled the daily news cycle for several months. The most controversial action was the president’s brutal, impulsive executive order implementing his campaign promise to block refugees from entering the U.S. He barred Syrian refugees indefinitely and entry of citizens from seven Muslim-majority states for 90 days. Although a recent Rasmussen poll showed that his order was supported by 57% of Americans, with 33% opposed, it was introduced with such haste and mismanagement that many innocents, even some supporters of the U.S., were denied entry. Hopefully, following the court intervention, this will soon be fine-tuned because the crude implementation of such drastic procedures is counterproductive. There is also considerable disquiet concerning alleged religious discrimination and denial of sanctuary to devastated refugees. This resonates especially with Jews — many of whom are delusional and identify the plight of Syrian refugees with that of their kinsmen facing annihilation as Jews denied haven from the Nazis during the Holocaust — and is magnified by the biased media. This is a travesty. The limited number of Jews who were provided refuge from the Holocaust posed no security risks. On the contrary, they enriched and contributed to the welfare of the societies into which they settled. It is an abomination to compare them with the substantial proportion of thuggish, anti-democratic and anti-Semitic elements that have already had a shocking impact throughout Europe. Yes, as Jews we have an emotional affinity for refugees but we are surely obliged to give priority to our own security. In our interest and that of democratic societies as a whole, we should support all efforts to exclude extremists who would undermine Western civilization — even if in the process, some innocents suffer. This Trump policy is in fact an extension of a similar ban imposed by Obama in 2011, which suspended the entry of Iraqi refugees into the U.S. for six months. But we heard no outcries or breast-beating from bleeding hearts then. Trump refuses to pander to the irresponsible compassion that has pervaded Europe with catastrophic, probably irreversible repercussions on the quality of life in many cities. It is these grounds that justify special surveillance on Middle East “refugees” seeking entry into the U.S.
As Jews, we should welcome Trump’s efforts to halt the appeasement of aggressive Islam. Radical Islam is not a “religion of peace.” Trump’s objective, even if the implementation to date has been clumsy, is neither discriminatory nor Islamophobic. It is common sense which was suppressed by the Obama administration that sought to deny the existence of a global Islamic threat and encouraged U.S. Muslim organizations, including those supporting the Muslim Brotherhood. It must be noted that the wealthy Arab countries, such as Saudi Arabia and other rich sheikhdoms, have pointedly refused to condemn Trump, and have themselves adamantly refused to accept “refugees” because they regard them as security risks. But that hasn’t warranted any protest by the pseudo-liberals who are accusing Trump of fascism. Instead of shrieking Islamophobia, Muslim leaders should look in the mirror and realize that by their endorsement of or indifference to the violent jihadism emanating from their own ranks, they have created enormous concern and resentment. They should also observe that six of the seven countries “discriminated against” are among the 16 Muslim-majority states that deny entry to Israelis. Notwithstanding that, it is totally appropriate for Jewish organizations to call on the administration to fine-tune the regulations in order to minimize the impact on our friends. To be productive, such criticism must be constructive and communicated in a responsible manner. Those who now accuse Trump of introducing fascism and draw lurid comparisons with the Holocaust are hypocrites of the first order. They previously endorsed Obama for his sanctioning of regional hegemony to the Iranian terrorists who publicly proclaimed their intent to commit genocide against the Jewish people, for his bracketing of Israelis and Palestinians as birds of a feather and for his silence while Israel was treated as a rogue state. In so doing, they contributed toward an atmosphere that strengthens extremists and erects barriers to a reasonable and constructive discourse. Some of the most offensive outbursts emanate from “progressive” rabbis who, on purportedly Jewish ethical grounds, have assumed the vanguard role in demonizing Trump. One should compare their frenzied statements with the tempered and constructive criticism of the Orthodox Rabbinical Council of America. This also applies to the response to the administration’s appalling statement on International Holocaust Remembrance Day. Omitting any reference to Jews was a shocking blunder, compounded by subsequent efforts to justify rather than modify the statement. The Holocaust becomes trivialized if Jews, the principal target of the Nazi genocide, are not specifically mentioned. The European Union, Canada’s Prime Minister Justin Trudeau and others (including Jews) have been guilty of the same offence in the past. The statement can be attributed to a combination of chaos, ignorance and stubbornness. 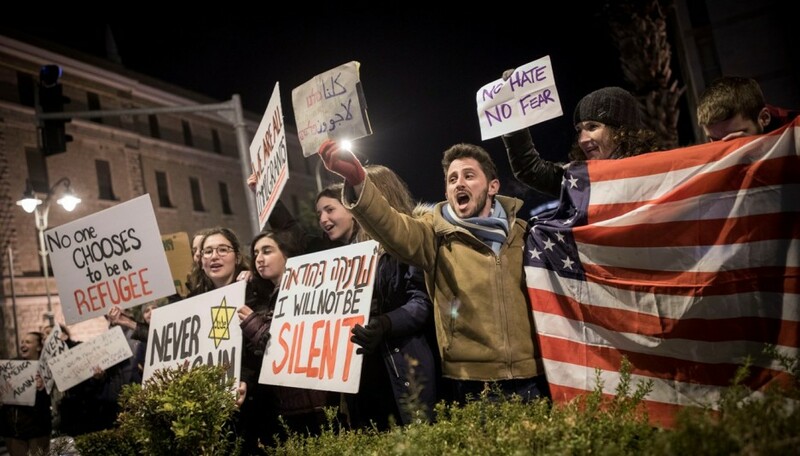 Jews were obliged to speak out forcefully and, to their credit, responsible Jewish bodies, including fervent supporters of Trump, criticized the statement. But the Jewish pseudo-liberals once again engaged in baseless accusations of anti-Semitism, even accusing Trump of deliberately promoting Holocaust revisionism in order to placate Nazi followers. Such hysterical responses were utterly counterproductive and render it difficult to conduct a civilized discourse on the issue. 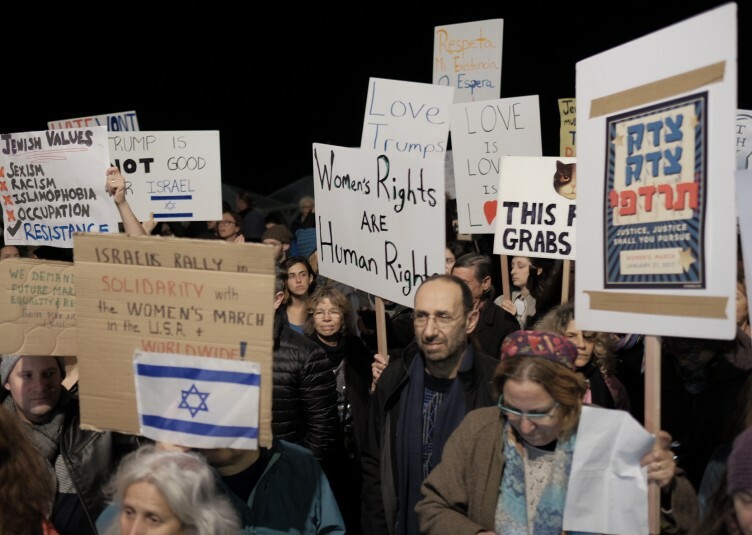 American Jews, other than the Orthodox, are unquestionably suffering trauma over recent developments that challenge their liberal DNA. I refer to them as “pseudo-liberals” because genuine liberals have not forsaken Israel. But even a dedicated Zionist like David Harris, CEO of the American Jewish Committee, seems to have lost the plot. There have been some needlessly provocative statements by Prime Minister Benjamin Netanyahu and his ministers about settlement construction beyond the settlement blocs, even before his meeting with Trump. These statements, largely pandering to short-term domestic political interests, are not merely counterproductive to Israel-U.S. relations, but are not endorsed by the majority of Israelis who share a consensus about the ultimate objective of separating from the Palestinians in order to avoid a binational state. But it was outrageous when Harris condemned as “unhelpful” Netanyahu’s reference to construction within the settlement blocs, and when he accused Netanyahu of engaging in “optics “that “could hand anti-Israeli forces a PR victory.” Harris may have been under pressure from some of his more radical constituents to follow the lead of the Anti-Defamation League in distancing his organization from the Israeli government. But such a statement at this time, publicly reprimanding the Israeli prime minister on what is a consensual issue in Israel, reflects the chaos prevailing even in some mainstream American pro-Israel groups. What makes this worse is the absence of a response or condemnation to such remarks by other establishment leaders, except those of the Zionist Organization of America. Indeed, although likely to be fervently denied by most of the established Jewish leaders, Mort Klein, head of the ZOA, who until recently was dismissed as a fringe extremist, has filled the vacuum created by the pseudo-liberals and their silent leadership and has emerged as a major voice in the American Jewish community whose views receive extensive coverage in the national media. Next week, Netanyahu will be holding critical discussions with Trump that will set the parameters for the new administration’s relationship with Israel. Until then, responsible mainstream Jewish leaders should be supportive of Israel and, if critical of new administration’s policies, convey their concerns in a respectful and constructive manner and dissociate themselves from the extremists in their ranks who exploit their origins as a vehicle to demonize Trump. Likewise, Israeli ministers, including our prime minister, should not seek to push a mercurial Trump to the point where he becomes exasperated. All the indicators suggest that Israel will benefit from even greater support than we had during the George W. Bush administration. With respect to the new administration’s tough responses and renewal of sanctions against the Iranians, its approach to the United Nations and the anti-Israeli Europeans, it has already clearly reversed the anti-Israel policies of the Obama era. Trump has also clearly intimated that Israel will not be condemned if it expands and builds homes within the settlement blocs. The new administration will certainly revoke Obama’s efforts to force Israel to return to the indefensible 1949 armistice lines or define Jerusalem as occupied territory. But, like the majority of Israelis, it is unlikely to endorse the Greater Israel concept or support the creation of new settlements in densely populated Arab areas. If we act rationally and dissociate ourselves from the right-wing extremists who would transform us into a binational state, there is every probability that on the eve of 50th anniversary of the Six-Day War, Netanyahu’s meeting with Trump will be highly productive and hopefully represent a prelude to a major improvement in our global standing and security.